Swifter® HVLS Series Industrial Ceiling Fans are the best choice for large warehouses or other high ceiling commercial buildings. Available in 10', 12', 14' and 16' diameter. 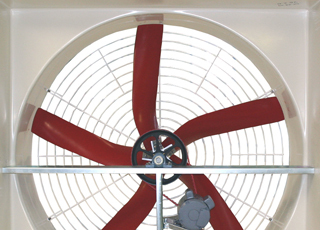 Swifter® CTX Series Industrial Fans are high performance, high efficiency and low noise models. Ideal for Cooling Towers, Air Cooled Heat Exchangers and Evaporators. 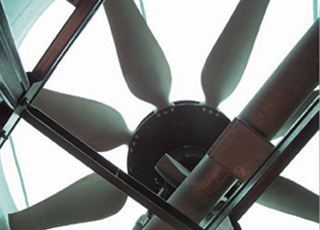 Available from 5 feet to 40 feet in diameter for original equipment or replacement fan market. Swifter® SW/SE Series Fiberglass Impellers are suitable for Agriculture, HVAC, Exhaust, Ventilation and other general purpose Outdoor/Corrosive Applications. Available from 20 inches to 60 inches diameter; for the OEM market only. Glocon manufactures custom fiberglass reinforced plastic (FRP) parts using various fabrication techniques, including Open Molding, such as Hand Lay-up and Spray-up and Closed Molding techniques, such as Resin Transfer Molding (RTM) and Compression Molding. We also offer CNC Precision Trimming and Pattern Work. We offer a one-stop shopping experience by managing your project from approved drawings to final delivery. Our services include low cost tooling, prototyping, manufacturing, quality assurance, assembly, painting, packaging and shipping. We primarily cater to OEMs and large volume requirements. 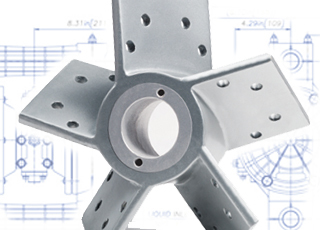 Glocon manufactures custom metal die castings (ferrous or non-ferrous) and other types of metal parts, including sand castings, extrusions, stamped parts, fabricated parts, forgings, etc. With experience in various industries, ranging from automotive, power, HVAC, to process and petro-chemical, Glocon can satisfy any of your metal parts requirements. We specialize in large quantity runs. From concept to final production, we will oversee your project to its completion with the expertise of our engineering staff and comprehensive manufacturing facilities. We offer personalized customer service and a 100% product guarantee.